Officially NFL Licensed!! Official Sports Team Item!! 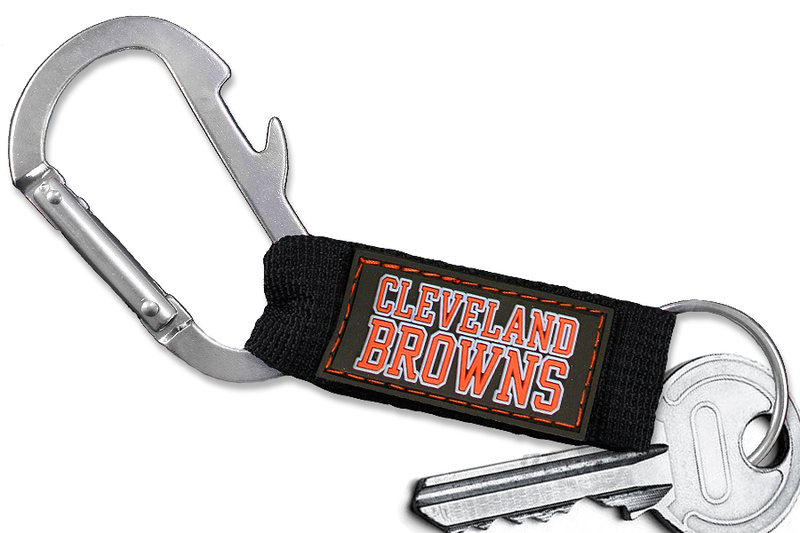 Large Metal Carabiner And Key Ring Is Fashioned With A 3D Cleveland Browns Logo Pendant On A Tough, Black Woven Fabric. Carabiner Belt Clip Also Includes A Bottle Opener.